We Design Electrical Steam Boilers as per Vatious Industrial Applications Like Pharma, Dairy, Laundry, Canteen etc. with Both Horizontal and Vertifical orientation. Pressure Switch, Pressure Guage, Digital Temperature Control, Safety Valve, Auto Level Switch Cut off incase of low water level etc. and as per Customer requirement. 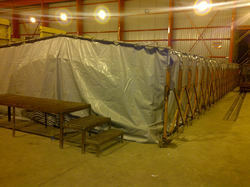 Steam Curing is best solution in winters, the strength development of concrete is very rapid. Effectively utilizing an accelerated Steam curing system will enable you to achieve product quality quickly. SECON® Electrical Steam Curing system Provides Controlled environment with Predefined Curing Cycles of Steam, improving product strength, impermeability and durability. Optimum Cycle Time of 7-8 Hours is Sufficient to achieve complete strength, depending on weight of Concrete Block. ution in winters, the strength development of concrete is very rapid. Effectively utilizing an accelerated Steam curing system will enable you to achieve product quality quickly. With an aim to stand tall on the expectations of our esteemed clients, we are providing Electrical Steam Generator that is used in residential and commercial places. 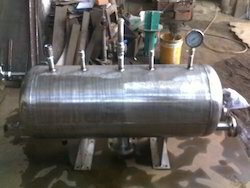 The provided steam generator is highly acclaimed by the clients for its optimum performance and long functional life. Our provided stream generator is manufactured by our adept professionals using high grade raw material and sophisticated technology.